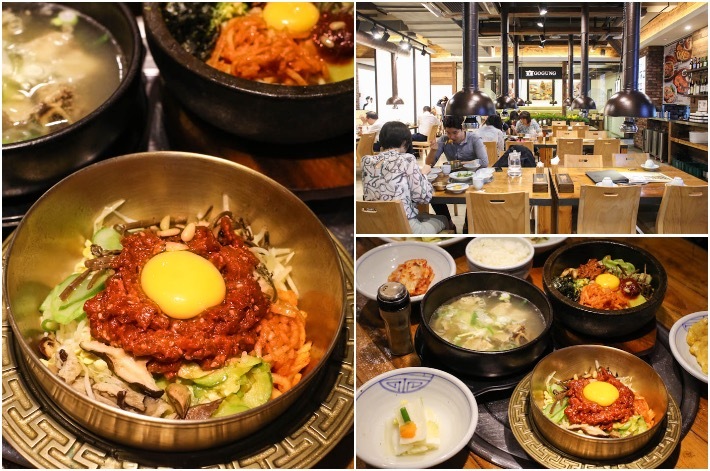 If you are looking for a Korean restaurant that specialises in traditional Jeonju Bibimbap, then Gogung in Myeong-dong is where you should be heading to. 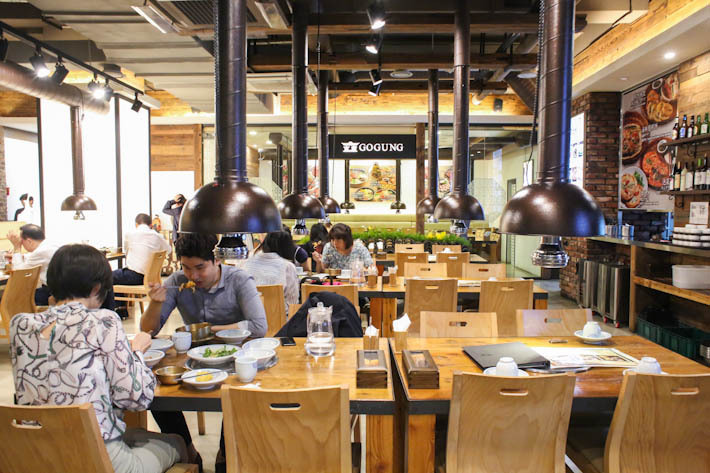 Its central location in Myeong-dong makes Gogung the go-to place for many tourists who want to have an authentic taste of South Korea’s Bibimbap. The Korean restaurant has three versions of bibimbap—Jeonju traditional Bibimbap, Jeonju Dolsot Bibimbap and Yukhoe Bibimbap. 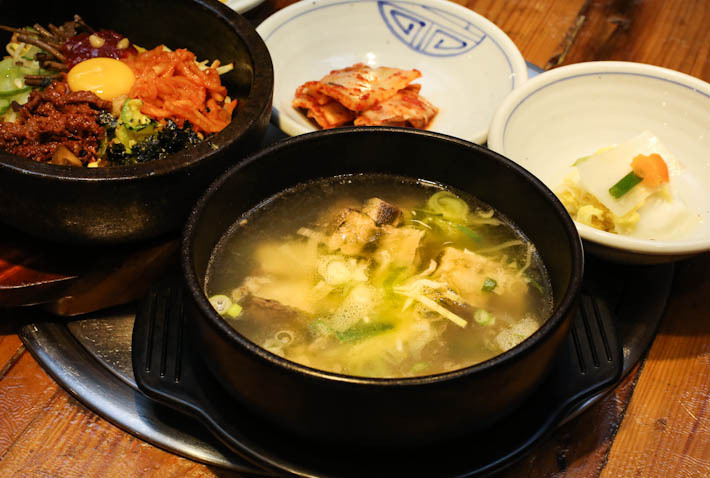 Although they are more known for their bibimbap, meat lovers should be pleased to know that Gogung also happens to be a Korean BBQ restaurant that offers quality meat. 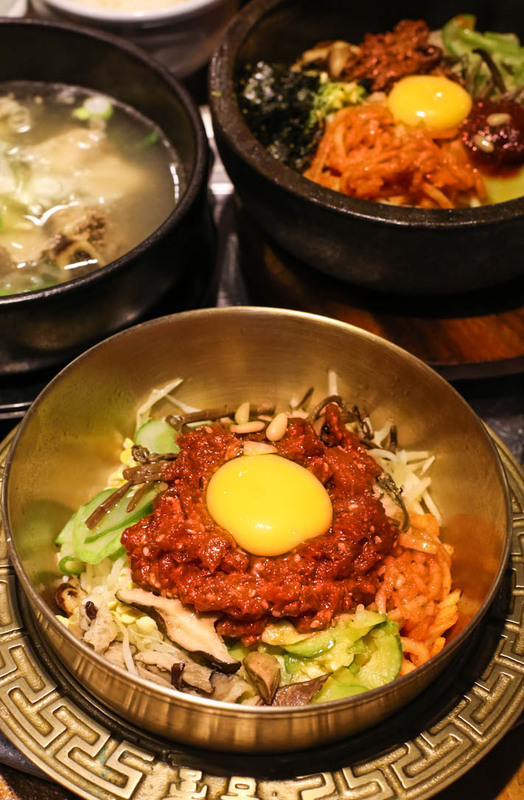 While toppings on a bibimbap may change according to the season, a classic Jeonju-style Bibimbap usually consists of soybean sprouts, raw egg yolk and beef tartare. 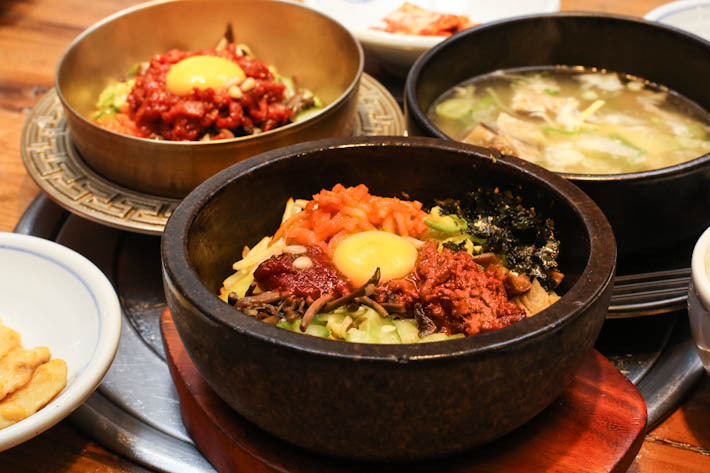 Gogung’s Jeonju Dolsot Bibimbap (W11,000) is an aesthetically-pleasing dish served in an earthenware bowl which helps to keep the food warm throughout your meal. We particularly liked how the edges of the rice are slightly burnt from the stone pot as it results in a slightly crispier texture. If you are looking for something better, the Yukhoe Bibimbap (W15,000) will do the trick. Similar to the Jeonju Bibimbap, you also get a generous portion of Korean-style beef tartare, sliced mushrooms, an assortment of colourful vegetables and raw egg. The tender raw beef was every bit delicious and seasoned really well with sesame oil and soy sauce. Have that with fresh vegetables and runny yolk to get a combustion of savoury and sweet tones in your mouth. Complete your meal with a steaming bowl of Beef Short Ribs Soup (W11,000). Having gone through the slow and long simmering process, the succulent meat was fall-off-the-bone tender and the clear soup was rich with beef flavours. Diners are also given a bowl of white rice together with the soup.